Mention the industrial Internet of Things (IIoT) and, for many people, the same image will come to mind: a lot of small, inexpensive devices pushing data up to the cloud. However, manufactures at the forefront of the IIoT revolution are noticing that this cloud-centric vision is shifting to be more inclusive of edge computing as well. Manufacturers are rightfully discovering that different types of computing are going to play different roles in a successful IIoT strategy. Certain types of real-time computing will need to happen outside of the data center in environments such as the plant floor, and those applications don’t make sense to send to the cloud—whether that’s due to security concerns, network latency issues or a variety of other reason. Given the sheer volume of data generated at the edge and the speed with which it needs to be made available to other systems or to analytics, edge computing is better suited to handle this. Use cases can include things like data collection, real-time data processing for decision support and most supervisory control and data acquisition (SCADA) functions. 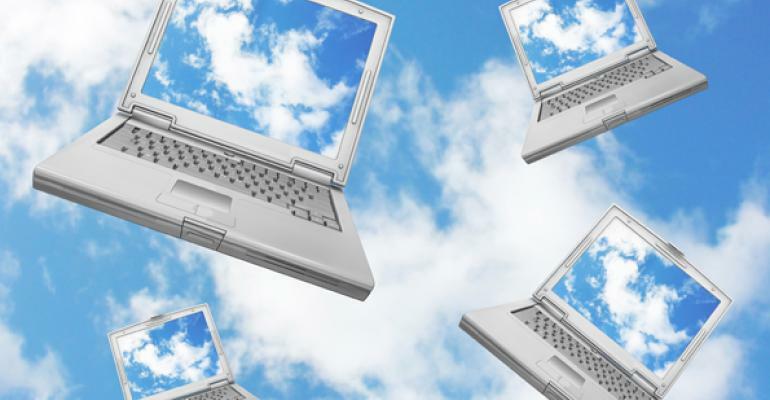 Connectivity to the cloud is not robust enough for some of these newer situations, so the industry is facing a question: do cloud technologies still have a role? The answer is definitely yes—but it will be a selective role based on the type of computing best suited for certain workloads. The cloud will still play an important role for non-real-time workloads like post-processing corporate analytics and planning, as latency is not critical for these areas. A good way to illustrate the edge and cloud playing their most appropriate roles would be with a driverless car scenario. Imagine being in a driverless car going 80 mph, when a car from another lane begins to swerve towards you. The round trip of data to and from the cloud would be too slow for the car to react, resulting in a collision. Edge computing, on the other hand, can provide real-time information, allowing the car to take immediate action to avoid the crash. Metrics collected from the car could then be periodically sent to the data center or cloud, where they can be used for analytics that support planning and maintenance in the future. There’s actually an interesting cultural divide at the core of this issue. Talk to the operational technology (OT) teams who have been managing automation systems for years—they understand what needs to happen at the edge and what doesn’t. That’s where they live. But go talk to the people pushing cloud-based IIoT implementations, and they are a different breed. They are usually large enterprise IT professionals. They preach the same approach to industrial automation that they do for enterprise IT deployments: send it to the cloud and all will be well. However, those ideas belong more to “Generation 1” IoT thinking, which is all about cloud. “Generation 2” IoT thinking, which focuses on the hybridization of cloud and edge, is beginning to gain popularity as enterprises realize the benefits of both edge and cloud, and how to pick the right tool for the job given the situation and computing needs.